ASAPS initiative aims to standardize terminology, images used in data reporting and marketing. “No downtime.” “Moderate redness.” “Minimal bruising.” When it comes to the many light- and energy-based devices used for aesthetic procedures from hair removal to body contouring, what do these claims really mean? Lacking a standard terminology that truly captures aesthetic concepts, plastic surgeons, patients, and device marketers may be talking about very different things even when using the same words to describe the outcomes of cosmetic procedures that employ energy- and light-based tools. 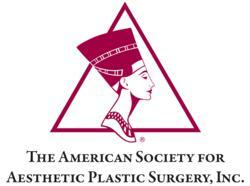 To promote a more fair, standardized, and impartial discourse about these devices, the Light- and Energy-Based Therapies Subcommittee of the American Society for Aesthetic Plastic Surgery (ASAPS) has begun to more precisely define standard terms and develop recommendations for device manufacturers—such as the use of standardized lighting, patient positioning and labeling for before and after images—to help physicians and patients better evaluate the different technologies. This initiative is discussed in “Back to Basics: Understanding the Terminology Associated With Light- and Energy-Based Technology,” an editorial available online ahead of print in the November 2011 issue of Aesthetic Surgery Journal. The Subcommittee has developed standard definitions for some of the most common terms used in marketing light- and energy-based devices for aesthetic procedures, particularly terms used to describe the recovery process. For example, the definitions describe how to define the different degrees of swelling, bruising, and pain, from “essentially none” to “significant.” Other terms will be added to the list as the Subcommittee moves forward to develop a full and comprehensive nomenclature.